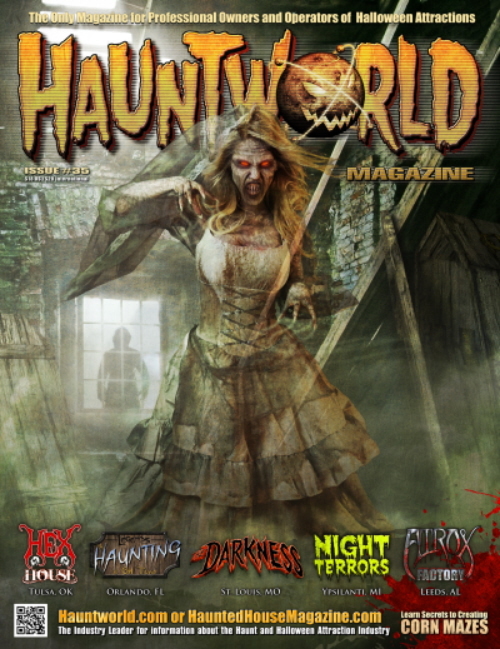 As the Transworld Halloween & Attractions Show rolls on in St. Louis; the time as come to recognize the best haunted offerings of the 2013 season. We here at Horrorlust present nine dreadful categories , the original seven include: Monster, Killer Automatons, Eerie Vibrations, Pulse Pounder, Dark Horse, Rotten Pumpkin and finally, Haunt of the Year. In 2011 we added the Prop Master and Samhain Awards. Below are descriptions for each category accompanied by this years’ nominees. All cities listed in parenthesis are located in the State of Michigan unless otherwise noted. For awards from 2010-2012 consult the “Awards” category listed in the sidebar to the right. A comprehensive list of past winners will be posted mid-week with the 2013 winners being released one week from today. While seeking out videos promoting the return of The Walking Dead last weekend, I stumbled across one trailer that featured a haunting rendition of Bad Moon Rising. Written by John Fogerty and performed by Creedence Clearwater Revival, Bad Moon Rising was originally released in April 1969 as a single off of the Green River album. Bad Moon Rising has been recorded by no less than twenty artists in the forty-five years since it was first released, but it’s the original that has stood the test of time. Widely considered the best, and certainly most popular version of the song, Creedence Clearwater Revival’s Bad Moon Rising is among my all-time favorite songs. In fact, long before I christened this blog Horrorlust, I wrote on the topic of horror and haunted houses under a different name, Hallowblog. It’s worth noting that before I settled on Hallowblog I very strongly considered titling the blog, Bad Moon Rising, as an homage to the song. So it was with more than a small thrill, that when I happened across a particular trailer for the aforementioned The Walking Dead, I was treated to a foreboding arrangement of the old favorite. Performed by a group called Mourning Ritual, this latest cover is punctuated by the raspy voice of the lead singer and a slower tempo than the original. The overall effect creates a much darker, ominous tune reminiscent at times of Lauren O’Connell’s cover of The Animals’ House of the Rising Sun. Appropriately, that cover was also used in the promos for another popular television horror series this season — American Horror Story: Coven. If you haven’t heard either cover I would strongly recommend giving each a listen. I wouldn’t suggest that either topped the original — that would be blasphemous — but each has put a fresh spin on a powerful classic and are capable of standing on their own. As for those of you who’ve never had the pleasure of experiencing the originals, smack yourself. My love of all things horror extends also to the video game medium and, oh boy, has a new entry come to the world of survival horror! My brother called me last week to tell me about a game he had downloaded on PS4 called Outlast. Released to PC last September, the independent title developed by Red Barrels was made available on the PS4 earlier this month. The plot of the game is centered on Miles Upshur, a freelance journalist. An anonymous tip has brought him to the formidable Mount Massive Asylum, a psychiatric hospital where Miles will soon discover that things have gone horrifyingly wrong. Exhibited on a 64-inch screen, complete with surround sound system the startling effect of the game was rendered in full force. The player progresses through the darkened halls from a first person perspective armed with nothing more than a video camera equipped with night vision. Use of the video camera is not optional — this mode ratcheted up the tension and created a claustrophobic sensation close to panic. Miles’ task is to covertly search the building for evidence of what has taken place here and throughout the early stages of his journey we were treated to some brilliantly timed jump scares that yielded shouts of terror and colorful expletives. Ah yes, I should mention that Miles is almost entirely incapable of defending himself if assailed. As the player you have but two options: run or hide. It brought us back to 1998 when we first experienced Resident Evil 2 — the first title that made us question playing a video game alone in the dark. 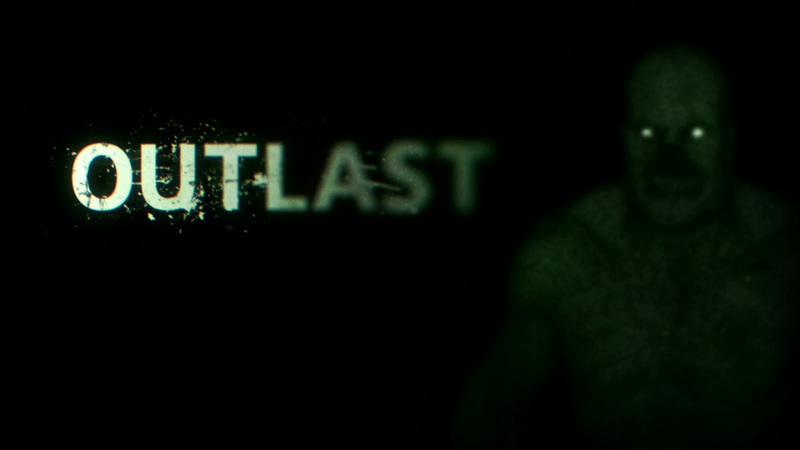 I won’t be surprised if Outlast is soon on the short list of most frightening video game titles ever released, nor should the expert sound design be lost on players or industry insiders. The game is scary and presents an interesting twist on the survival horror genre. I’m definitely looking forward to delving deeper inside Mount Massive Asylum. The final haunt of the season always brings with it a mixture of excitement, sadness, and a tinge of disbelief. For the better part of two months my companions and I eat, sleep, and breathe haunted attractions and when the season inevitably draws to a close there’s a lot of information to process. We believe in going out with a bang and we could think of no other place to be on the final night of the haunt season than Exit 13 in Mt. Morris. Our first trip through Exit 13 came in 2012 and both John and I were very impressed with what we witnessed. Ownership of the attraction changed hands last winter but the iconic name stuck and the new crew set out to top their predecessors. John and I arrived past the eleven o’clock hour on a chilly, dreary night eager to inject that final haunt fix directly into our veins. Our journey began in front of a black door, a narrow slot had been inlaid at eye level. Suddenly the slot was thrust open, a bushy handlebar mustache was accompanied by a pair of bulging eyes. After a brief exchange the door was opened and I couldn’t help but feel as if we’d just been sucked into some bizarre Wizard of Oz scenario. Once inside the wizardly wanna-be got a bit physical before he allowed us to continue on our trip. As we delved deeper into the darkness of Exit 13 we would discover the ghastly cast to be energized, abnormal, and without restraint. We were attacked by a mustachioed, little man in a dress, accused of terrible acts during a forced confessional, and roughed up by a gruesome gal who wildly spun yours truly about and then pinned me to a wall (and she didn’t even charge!). In other areas of the attraction we enjoyed some scenery and a few jump scares. While we traversed a dense woodland area populated by frightening tribal figures, one creep emerged from the brush to deliver an effective moment of terror. Conversely, we were also treated to some humor when we were violently admonished for ogling the mountainous breasts of a convalescing grandma. However, Exit 13 had saved the best for last as John and I would soon find out. We found ourselves in a strobe-lit hall, in the shadowy distance a sinister shape lumbered toward us. As the figure drew closer the ghoulish features of its face came into full view — darkened eyes leered at us hungrily above a mouth full of jagged teeth. The whole hideous facade was caged behind a metal box that had been mounted to the freak’s head. Moments later we entered a neatly constructed room that featured cornstalks, a scarecrow, and a murder a swirling crows. And just as we departed that inventive scene we found ourselves first inside of a crypt and then an adjacent cemetery where we were pursued by some famished zombies. We fled that nightmare landscape only to soon find ourselves surrounded by a pack of disturbed clowns who first threatened and then tickled us with buzzing chainsaws. We were very impressed with the job that the new staff was able to do. The operators overhauled much of the attraction from 2012, in addition many of the scenes or gags that were left intact from the previous season had been successfully tweaked. But make no mistake, the heart and soul of Exit 13 was the lovable cast of loonies who displayed such passion for their craft. The gang here was a versatile bunch equally skilled in both fun and fright. Once we had emerged from the darkness of Exit 13 we had a lengthy conversation with the owner and a senior staff member who has served as a helping hand at Exit 13 since its introduction to the Flint horror scene. As we learned from the tandem, in 2014 Exit 13 will undergo a complete overhaul and that is an exciting prospect. 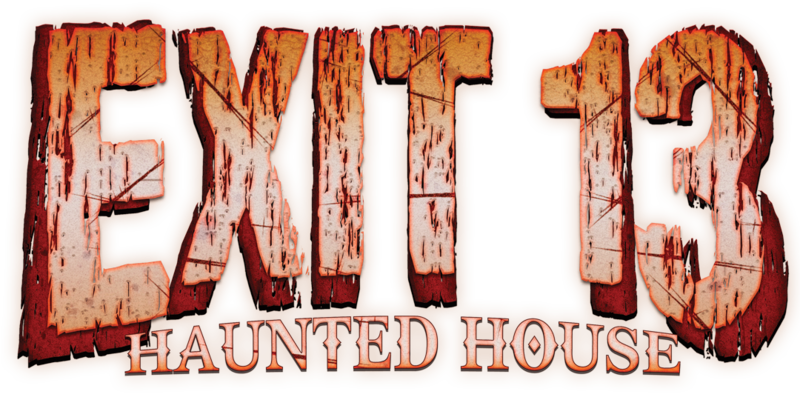 With shades of old school, in-your-face aggression, and instances of tasteless, odd ball humor — Exit 13 has quickly become one of my favorite places to visit during the haunt season. A handful of haunted attractions were open last weekend, thrilling patrons with a smattering of twisted Christmas scenes. Several others will join the fray this weekend to capitalize on Friday the 13th. Scream Acres located in Covington, Kentucky — the boyhood home of my father-in-law as it were, will headline the pack with Black Christmas. Other events in the Bluegrass State will occur in Louisa where Fallsburg Haunted House will present Yuletide Terror and in Louisville the Haunted Hotel is set to delight crowds with Bloody Xmas on the 14th and 21st. The Scare-A-torium in Columbus, Ohio will host Happy Horrordays December 13th and 14th while the Factory of Terror in Canton, Ohio will hold a one night engagement this Friday. A couple of haunts in Indiana are also getting into the holiday spirit with Christmas horrors of their own. Fright Manor in Indianapolis and Nightmare on Ash Street in Terra Haute will also spin yuletide yarns most macabre. It’s a shame that my home state of Michigan has not joined this deliciously dark movement, I’d relish the opportunity to visit a haunted attraction with a yuletide touch. Do any of you have any haunts to add to this list? Will any of you be attending? If so, be sure to leave a comment chronicling your experience.